Nothing can slow a warrior down like a strike to the shins. Do not succumb to such a simple attack and allow your opponent an easy advantage. Ensure a strong stance and protect yourself with the Alistair Leather Greaves. 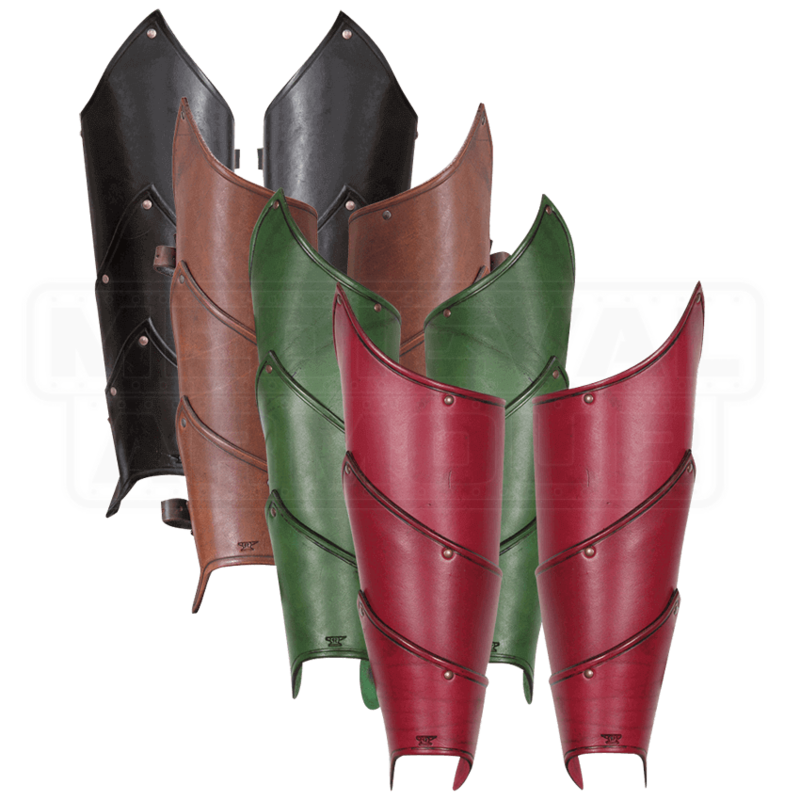 The quality leather of these shin guards provides durable protection for light practice and LARP activities. The asymmetrical design, riveted layers, and adjustable straps stylishly combine function and comfort. 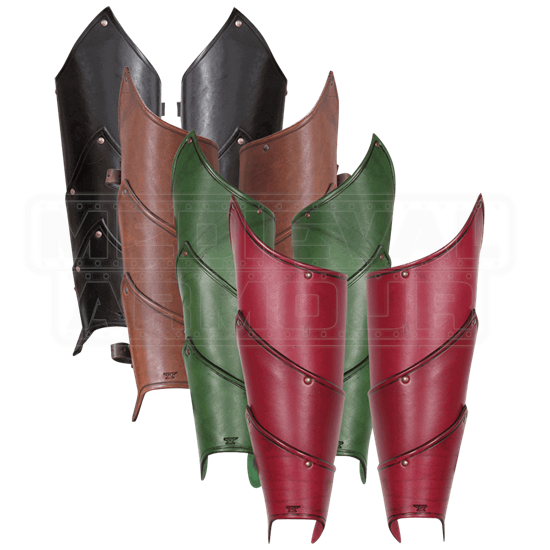 Enter you next battle well guarded while adorned with these quality greaves. This pair goes great with the matching Alistair Leather Bracers.